Tottenham have had a formal £19.5m move for former Liverpool player Suso rejected by AC Milan, according to Calciomercarto. Suso made a huge impression at the San Siro last season but has yet to be offered a new contract by Milan manager Vincenzo Montella and is believed to be considering his options. 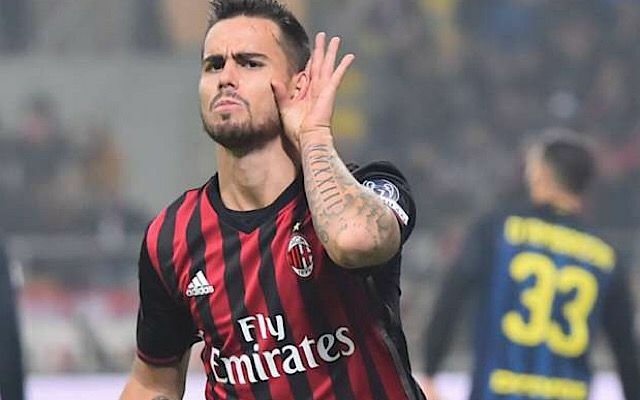 Having made little impression in his time on Merseyside with Liverpool, Suso has already stated he is no immediate rush to leave the San Siro. Yet Milan, who have spent over €200m this summer following Chinese investment, are believed to be willing to let the Spaniard depart if they receive an offer in the region of £25m. Montella is expcted to reshape his formation, with a three man defence, and Suso could be sacrificed as the club prepares to bring in another forward, having been heavily linked with Chelsea target Alvaro Morata. Roma are also believed to be interested in signing Suso, having sold Mohamed Salah, but Leicester’s Riyad Mahrez remains their priority. Tottenham, having sold Kyle Walker to Manchester City for a staggering £45m, have been slow to start their transfer window in earnest and are still being linked with Everton’s Ross Barkley. Whether Tottenham chairman Daniel Levy will sanction a £50m move for a player with just one year left on his contract, remains to be seen.